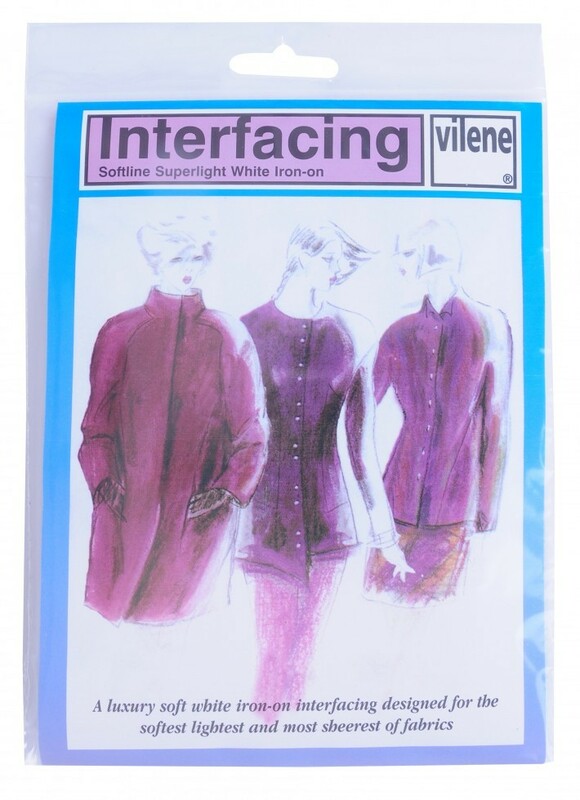 White iron on interfacing ideal for use on collars, facings, fronts and small areas in jackets and dresses. Suitable for use with soft, light and sheer fabrics. Steam iron on silk wool, slowly 5 6 times per area. Washable up to 40 degrees. Dry cleanable. Piece measures 50cm x 90cm.